The Lafond family has a long history in the Southern Rhone Valley that dates all the way back to 1780. Af first, the Lafond family settled in Tavel, before making the move to Chateauneuf du Pape. Jumping ahead a few centuries, the Lafond family created Domaine Lafond in Roc-Epine in 1970. The name Roc-Epine found its inspiration from a popular racehorse. The Lafond family made their first Chateauneuf du Pape vineyard purchase in 2001, when they acquired .87 hectares of vines. While they produce a variety of wines in Lirac and the Cotes du Rhone, as well as in Tavel, Domaine Lafond only produces one red Chateauneuf du Pape wine. The Grenache vines are old as they are over 60 years of age. Domaine Lafond Roc-Epine is certified as being 100% biodynamic in their vineyard management techniques. Domaine Lafond Roc-Epine is made from 80% Grenache, 10% Mourvedre and 10% Syrah. The terroir is rocks, sand and limestone. The grapes come from the Etang, les Grandes Serres and les Pradel vineyards. To produce the wine of Domaine Lafond, the grapes are 100% destemmed. The Grenache is aged in tank for 12 months. The Mourvedre and Syrah are aged in 100% new, French oak barrels for 12 months before blending and bottling. The production is tiny. Only 325 cases are produced each vintage. Domaine Lafond can be enjoyed on the young side. Young vintages can be popped and poured, or decanted for about 1 hour, give or take. This allows the wine to soften and open its perfume. Older vintages might need very little decanting, just enough to remove the sediment. Domaine Lafond Roc-Epine is usually better with 2-4 years of bottle age. Of course that can vary slightly, depending on the vintage. 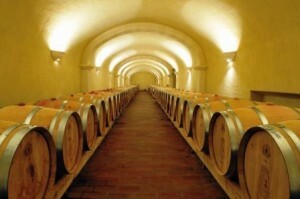 In the best vintages the wine should be consumed within 3-12 years after the vintage. Domaine Lafond is best served at 15.5 degrees Celsius, 60 degrees Fahrenheit. The cool, almost cellar temperature gives the wine more freshness and lift. Domaine Lafond is best served with all types of classic meat dishes, veal, pork, beef, lamb, duck, game, roast chicken, roasted, braised, stewed dishes, sausage, barbecue, grilled meats and cassoulet. Domaine Lafond is also good with Asian dishes, hearty fish courses like tuna, mushrooms, cheese, pasta, eggplant and tomatoes. The white wine of Domaine Lafond is best served with a myriad of different seafood dishes, shellfish, crab, lobster, sushi, sashimi, chicken, pork and veal, as well as Asian cuisine. Domaine Lafond also owns vines in Lirac, Tavel and in the Cotes du Rhone appellation. Animalistic, garrigue, olive and red berry notes get you going. On the palate, the wine has a lush, silky, polished, medium bodied texture. The fresh, cherry quality in the finish is made even better with a blast of thyme and peppery spice. Spicy cherries and peppery fruits are all over the place, in this lush, round wine. This winner is really quite rich and stylish for the vintage. Produced by blending 80% Grenache, 10% Syrah and 10% Mourvedre. More interesting on the palate than the nose with its fleshy, ripe, concentrated, jammy black cherries and spice personality. Soft textured, open and with good freshness in the sweet, ripe, black raspberries and kirsch flavors that are at the heart of this wine. Lush, ripe and already quite tasty, with its fleshy, sweet, black raspberry, jam, kirsch, licorice, smoke and garrigue filled character. This is ready to go. It is supple, round, silky and fresh, with ample ripe, sweet, kirsch notes that are made even better with black cherries, pepper, licorice and fresh floral sensations.